Bank loan prices fell sharply in the fourth quarter of 2018, after delivering strong returns through the first three quarters of the year. Genworth Financial, Inc. (NYSE: GNW) will offer a listen-only broadcast of its 2018 Annual Meeting of Stockholders to be held at 9:00 a.m.
Baird, an international, employee-owned wealth management, capital markets, private equity and asset management firm, today announced the addition of two veteran financial advisors to a new wealth management office in St. Louis. There are 30 finance bloggers that should be on your radar when you're planning for higher education, a home or your future, according to an insurance company. Starion Bank President Arnie Strebe has graduated from the Executive Development Institute for Community Bankers® (EDI), a rigorous 19-month leadership development program for up-and-coming executive officers of community banks. Baird, an employee-owned, international financial services firm, today announced a significant expansion of its Energy Investment Banking practice, with the addition of a senior investment banking team, focused on Oilfield Services, based in Houston, Texas. Northern Trust Corporation (Nasdaq: NTRS) today disclosed the results of its company-run stress test under the severely adverse scenario developed by the Corporation for its Mid-Cycle 2018 submission. Three UBS executives will be recognized at American Banker's 2018 Most Powerful Women in Finance gala in New York City this evening. Cambridge announced that independent financial professionals have given Cambridge an advisor satisfaction rating of 9 out of 10. 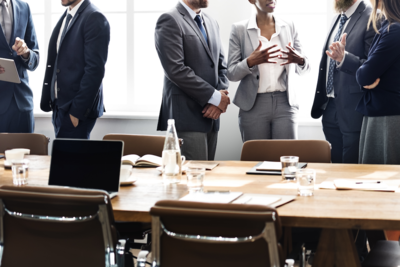 Organizations that sponsor 403(b) plans are accelerating adoption of plan automatic features to improve plan design and participant outcomes, according to the 2018 annual 403(b) Plan Survey from the Plan Sponsor Council of America (PSCA). SunTrust Banks, Inc. (NYSE: STI) announced today that it plans to release third quarter 2018 results on Friday, October 19, 2018. THE BANK OF TIOGA: Fraud – Now what? A few weeks ago, I was sitting in my home checking email on my phone and I noticed some alerts in my inbox from SHAZAM BOLT$. 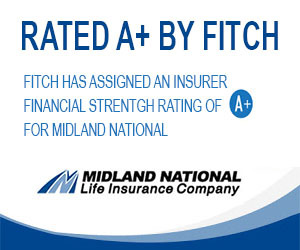 Scoring the second-highest financial strength ranking possible from A.M. Best, Midland National recently merited an A+ from the well-known insurance industry source for news, data and ratings as well as sustaining a “Stable” credit rating. 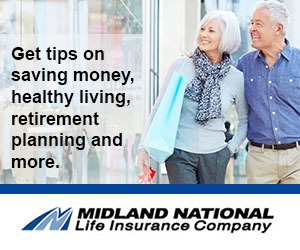 Achieving a Ward’s Top 50 list for the third successive year, Midland National recently earned status among the nation's highest-performing life and health insurance companies, surpassing hundreds of contenders for its safety and consistency. Wilmington Trust issued the following announcement on Aug. 14.Wilmington Trust Wins Two Awards at the US Captive Service Awards Ceremony Print Friendly Version Convert to PDF Convert to RTF Related Assets August 14, 2018 WILMINGTON, DEL—Wilmington Trust, N.A.